Have questions about your insurance and financing options? At Midtown Modern Dentistry, we accept your insurance and will be happy to discuss other financing and payment options that fit your needs. Please take a moment to review our insurance and financing information. If you still have questions, please don't hesitate to contact us and we'll be happy to answer your questions. Looking for our New Patient Forms? Click here. 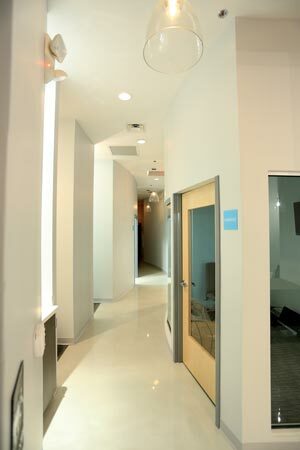 At Midtown Modern Dentistry, we know that cost and insurance coverage are important considerations for everyone. Insurance benefits are often challenging to understand, but you don’t have to become an insurance expert! We're here to help you get through the process so you can get the most from your coverage. We’ll be happy to go over the details of your insurance plan to make sure you’re receiving the maximum benefit and follow up on any claim delays. We will also be happy to help file your insurance claims and track them. If we're not currently in-network with your plan, be sure to check back since we are constantly partnering with new insurance providers! When you call to schedule your first appointment, we'll check your insurance to make sure that we accept them and to find out more details about your coverage. CareCredit is a credit card that is designed for one purpose – to help you manage your family's healthcare costs. It can be used for dental care, vision care, cosmetic treatments, and much more. CareCredit picks up where your insurance leaves off and can even be used for deductibles and co-payments. Applying for CareCredit is easy, and you will receive an answer almost immediately. CareCredit offers several easy payment plans depending on the payment option you choose, including interest-free financing. You can apply for CareCredit online, or we'll be happy to assist you with the application while you're at our office. Of course, we are always happy to accept cash, personal checks, Visa, MasterCard, and Discover. If you have questions or concerns about your financial options, please don't hesitate to contact our Altamonte Springs dental office. Your oral health is our top priority, and we will work with you in any way we can to make sure you get the treatment you need.